Addressing the critical issues in community re-entry in a very practical manner, this book is suitable for all members of a community re-entry or brain-injury rehabilitation team. 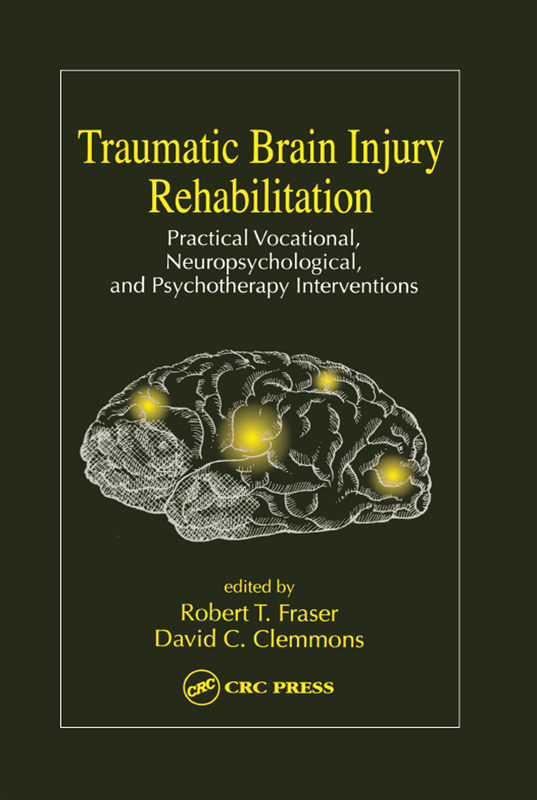 Traumatic Brain Injury Rehabilitation: Practical Vocational, Neuropsychological, and Psychotherapy Interventions provides innovative guidelines for allied health members of the traumatic brain injury rehabilitation team with information to help achieve more successful vocational and psychosocial outcomes. The book provides a very clear overview of critical components of neuropsychological information and the use of this information in vocational planning; examples of functional areas of cognition and neuropsychological assessment; the linkages between cognitive and behavioral impairments; the different categories of assistive technology; psychotherapy and behavioral interventions as well as successful vocational interventions; and, models of work access, including methods of supported employment, the development of a tailored job coaching program, and the specifics of utilizing natural supports. This book is useful to anyone involved in neurorehabilitation, vocational rehabilitation, rehab psychology, neuropsychology, and students in counseling programs or studying medical aspects of disability.